Let’s get ready to rumbleeeeeeeee! Wait, no, that’s basketball isn’t it? Yep. It’s here. 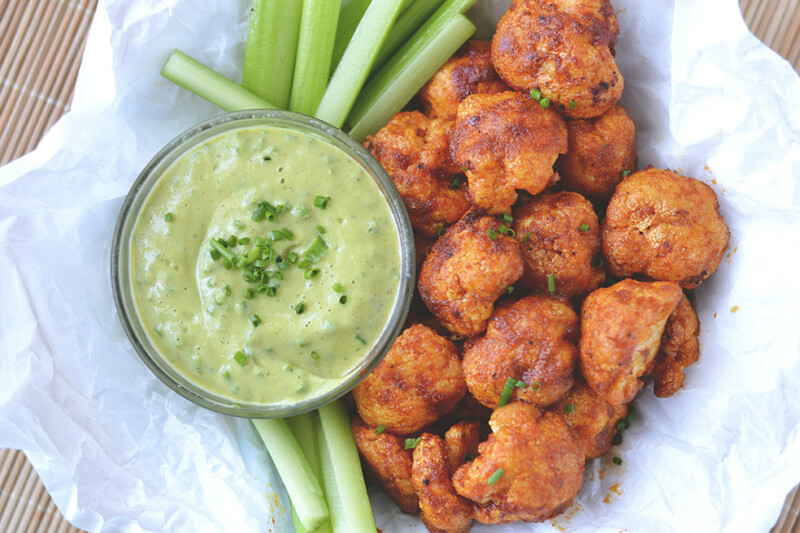 The best buffalo cauliflower you’ve ever had. It’s crunchy. It’s spicy. And it dances on the line of healthy and unhealthy – could it be more perfect?! Let’s get real for a sec. I made these for the first time a year ago today, on the eve of the Fall Equinox, and have since refined and amended the recipe. Seeing that notification on my Facebook this morning (you know those annoying timeline reminders?) got me thinking back to the past year. Fall is the time for harvest, to reap what we’ve sown in the past year and buckle down and brace ourselves for the hard winter. It’s my favorite time of year. And yes, I’m pretty basic in my love for Pumpkin Spice Lattes and boots, and candles, and all thinks squash and leaves, and posting all over my social media every two seconds about it all (“YOU GUYS. THIS BREEZE!“). But I’m also cognizant that autumn is a time for reflecting on my personal “harvest”: what have I accomplished? What do I need to be happy and successful and loved for the remainder of the year? What do I need to hold on to, and what hasn’t worked – what do I need to let go? This is the time to give thanks for all the moments in the past year, to take stock of the lessons I’ve learned, good and bad, reflect upon them and then prepare for the future. Fall, and all its changing leaves, is my biggest reminder that nothing stays forever, that moments and memories fade and wash away, and that’s what makes them precious. It’s the winding down of all that spring buzz and summer activity, into the slow, wise stillness of winter. I am completely enamored with that stillness, and with the change that brings it, and that is why I love the Fall. Don’t get me wrong, I love football too (even if I don’t quite get it). I love that it brings the family together and we bundle and cuddle up, and enjoy each others’ company. And I love buffalo sauce. So here’s to a warm, reflective, and blessed season full of football, pumpkins, and SPICE! 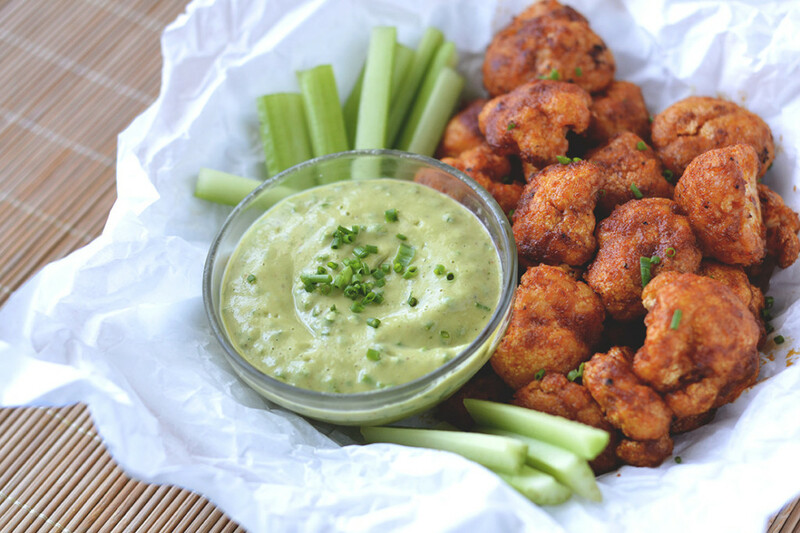 Crunchy and spicy cauliflower takes the place of boneless chicken wings. Remove stem of cauliflower and separate into bite-sized florets. To really fool your guests, remove the stems from each of the florets - you can use these stems in another recipe. 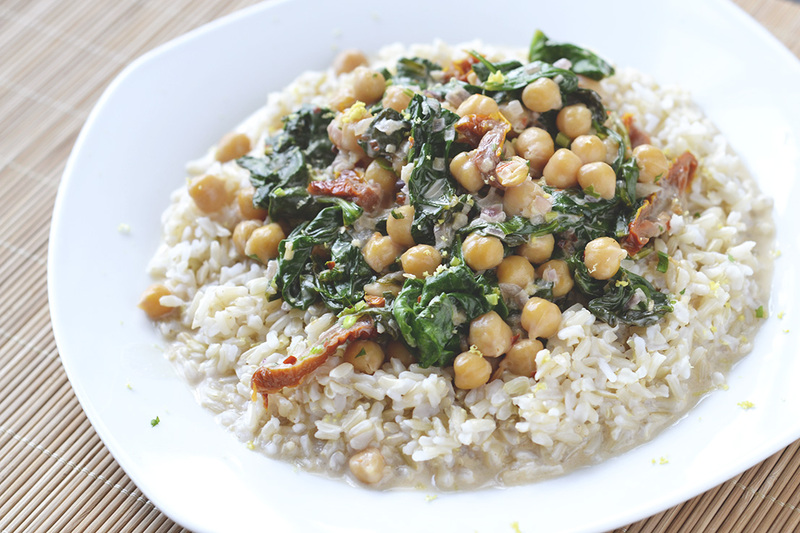 In a large bowl, throughly combine chickpea flour, italian seasoning, garlic salt, and water. Toss the cauliflower florets in this mixture until completely coated. Roll the coated florets lightly in panko crumbs, then place flat side down on a parchment-paper lined baking sheet. Bake for 16 minutes, flipping the florets once half-way through. 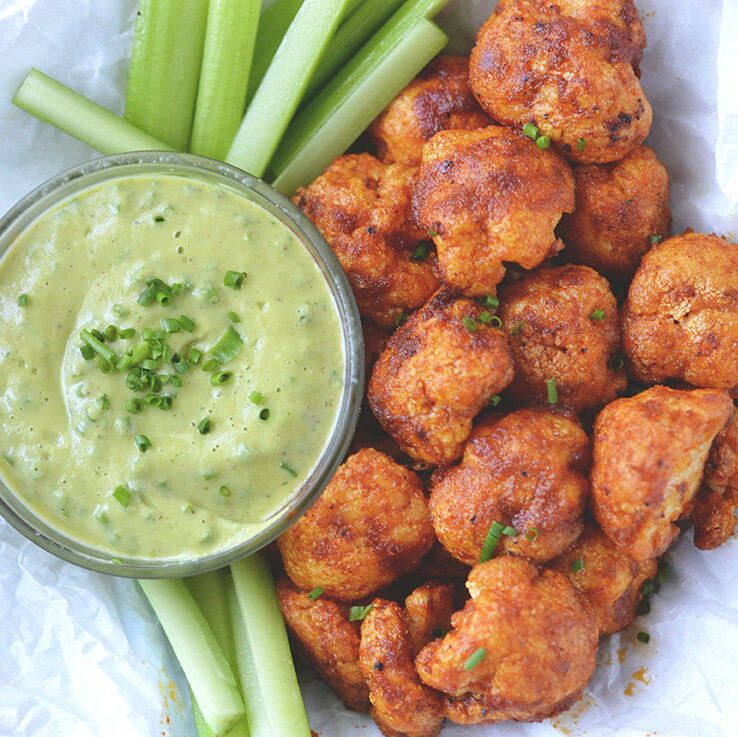 While the cauliflower is baking, make the buffalo sauce: Combine all sauce ingredients into a small pot or pan and heat to a boil, whisking frequently. 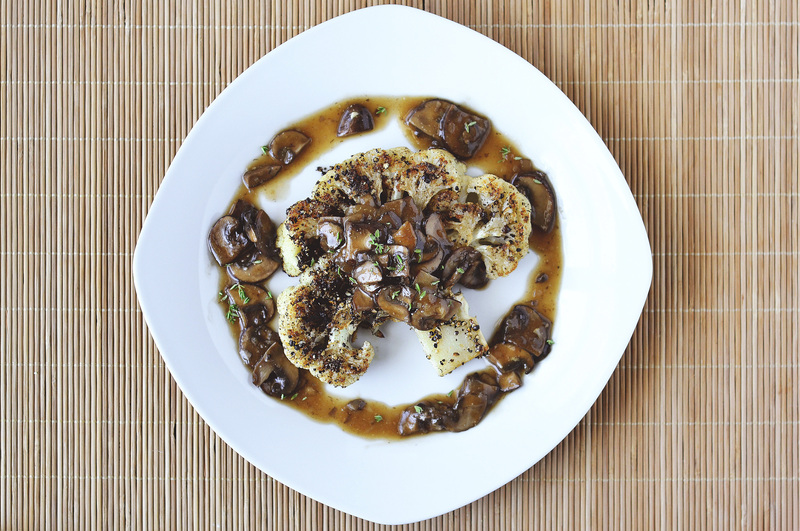 Once the sauce boils, turn off the heat and let stand until the cauliflower is done baking. When cauliflower is done, whisk sauce once more (to avoid separation) and toss the florets in the buffalo sauce. 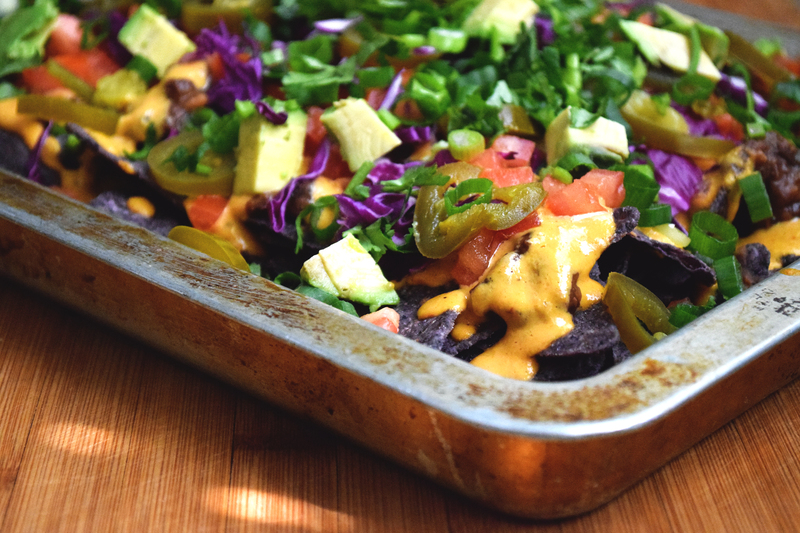 Replace the sauced florets on the parchment sheet and bake another 15-20 minutes until crispy. 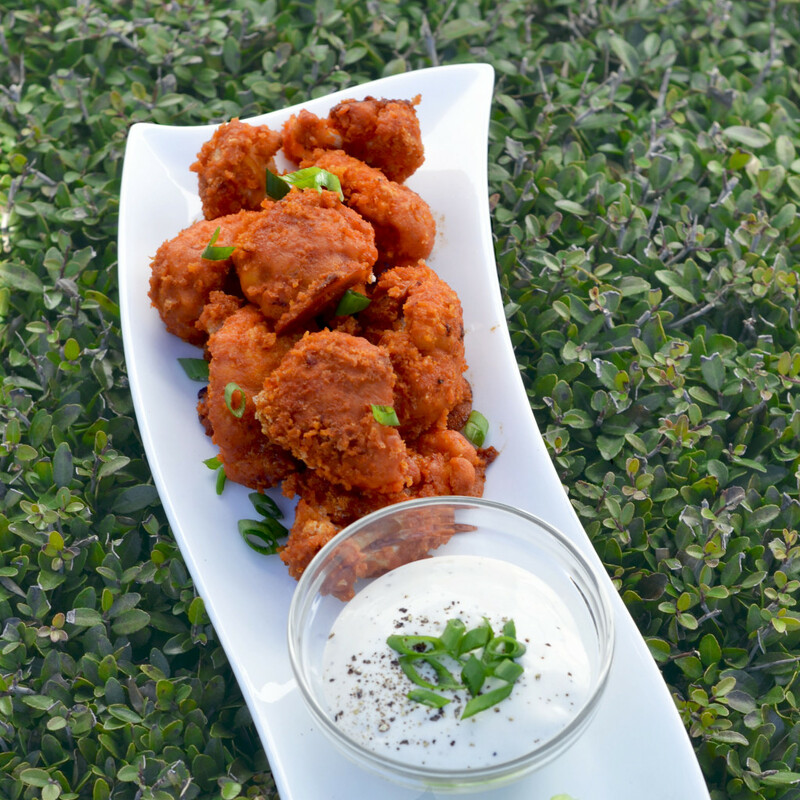 Allow the finished "wings" to cool slightly and serve warm with more buffalo sauce, celery, and vegan ranch.